Akathisia Commercial: Have you Seen It? Have you seen the Vanda Pharmaceuticals commercial that focuses on akathisia? We’re glad to see akathisia awareness getting attention. Although the commercial focuses specifically on the disorder being connected to schizophrenia, we know it of course can be associated with many other medications and health issues. What do you think of it? MISSD set up shop at the 2017 Naomi Ruth Cohen Conference this past weekend to educate mental health providers and practitioners, educators, the public and anyone interested in mental health and wellness about akathisia and potential side effects of psychotropic (and other) medications. 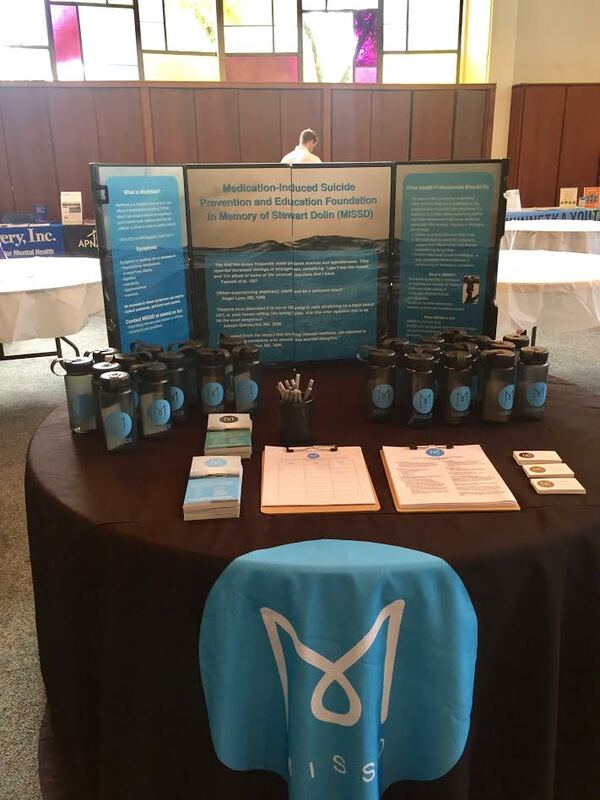 Held at Beth Emet Synagogue in Evanston, this year’s theme was “Raising Resilient Children: Prioritizing Their Mental Health.” Educational sessions focused a lot on ways to reach children and young adults, and addressed some of the unique concerns they face and that can affect their mental well-being. We spoke to a wide range of people; it was an inspiring event and we thank them!